Time to get rid of all of your foot care problems. 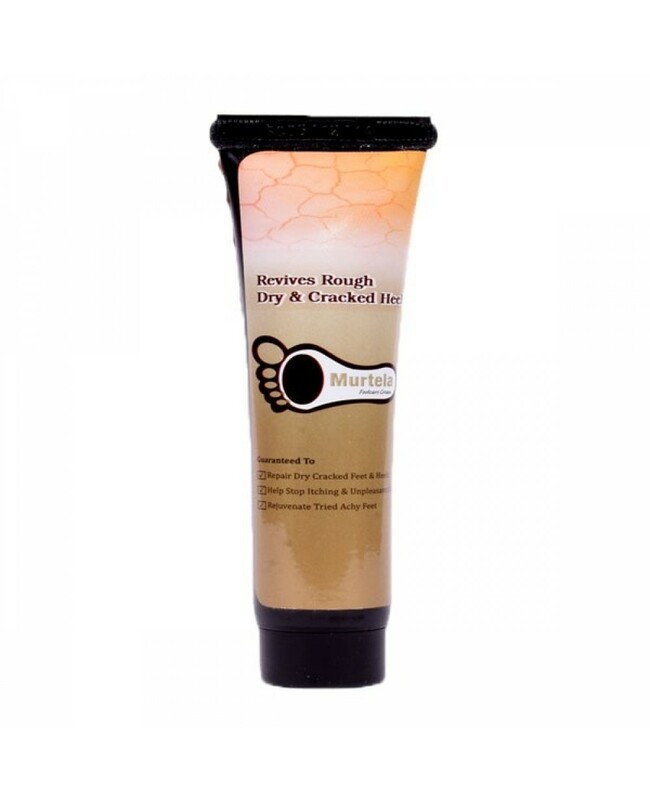 Now India's fastest growing brand Murtela brings one of the best cream for feet care. It consists of several ingredients which helps in removing all the fungal problems and remove dryness. Murtela Foot Care Cream consists of best nautral ingredients likeDARUHARIDA (BERBERIS ARISTATA), KAMPILAK ( MALLOTUS PHILLPPINENSIS), PASHANBHED (BERGENIE LIGULATA) MANJISTHA (RUBIA CORDIFOLIA), SNUHI (EUPHORBIA NERIIFOLIA), SARJARAS (SHOREA ROBUSTA) JATI (JASMINUM GRANDIFLORUM), CREAM BASE (CETOSTEARYL ALCOHOL CM1000, WHITE SOFT PARAFFIN, GLYCERIN, METHYL PARABEN, EDTA, PURIFIED WATER, PERFUME) etc. which helps in removing all the foot prblems.